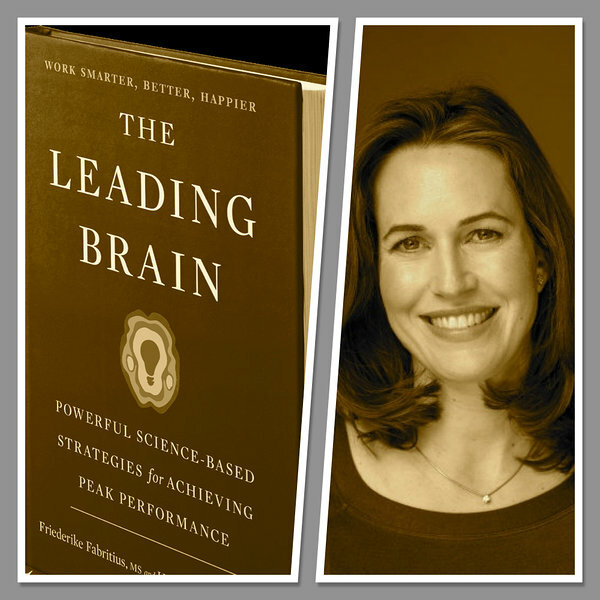 My guest in this special episode of the podcast “Leadership is the Competitive Advantage” is Friederike Fabritius, a leading expert in the field of Neuroscience of Leadership (Neuroleadership). She has been trained at the Max Planck Institute for Brain Research, then she continued her career as a management consultant at McKinsey. Friederike now applies her unique expertise in neuroscience and business to leadership consulting. She is a co-author of the highly acclaimed book called "The Leading Brain: Powerful Science-Based Strategies for Achieving Peak Performance". As an executive coach, leadership consultant, author and keynote speaker, she has been working with various organisations and top executives using solid scientific findings from brain research to develop new methods and practices for leadership development. I am really glad that Friederike will join us at the Estonian Human Resource Management Association's annual conference this spring as one of the keynote speakers. # When it comes to peak performance, the sweet spot is where you have in your system just the right level of brain chemicals called dopamine, noradrenaline and acetylcholine – or, as I prefer to put it in layman's terms, fun, fear and focus – that enables you to perform at your best. I am calling this framework of fun, fear, and focus as the DNA of optimal performance. Indeed, in order to thrive you need all three of them. When you are having fun dopamine is released, which makes your brain so much more effective, it makes the prefrontal cortex – the part of your brain that handles higher cognitive processing – work better. When people are not having fun at work, then I always say to them that they are not living up to their maximum potential. And by 'fun', I am not talking about the after-work sort of fun, but the fun you get from the work itself, when you are fully immersed into your topic and when you really love what you do. Likewise, by 'fear', I do not mean that you should be stressed out or afraid at work, instead, I mean that you should experience just enough uneasiness that it triggers a burst of noradrenaline and stimulates you to rise to an occasion. I like to refer to this as being 'slightly over-challenged'. When you take on tasks that are a little bit “too big” for you, the release of noradrenaline will help you to step up and tackle the challenge. Now, fun and fear are crucial, but they will not put you on the path to peak performance without the third and final component: focus. You derive your focus from the chemical called acetylcholine which enables you to zero-in laser-like on whatever you perceive as the most important at the time. In this age of information overload and constant distraction focus might be the hardest of all to achieve. In fact, meetings are one of the few remaining sanctuaries from constant interruption where focus is still possible. That is why I often encourage people to schedule what I call a ‘meeting of one’, a time block when distractions and interruptions are just as unthinkable as they would be in a regular multi-person meeting. When you have all three factors, that is, when you have the fun, the fear and the focus all at once in just the right dosage, you get into what is described as the flow state of mind. And when you are in flow, there is evidence to suggest that you can be as much as five times more productive. Now, the important point is that leaders who truly understand the principles of fun, fear and focus are able to design the working environments to make it easier for their team members get fully engaged. This means putting people in situations that are in line with their particular DNA of optimal performance and enabling them to have just the right levels of fun, fear, and focus. These three natural states are at our disposal all the time and, if well managed, should significantly improve our odds of getting to flow where and when we need to. PS! You can learn more about Friederike and her work on a website called Fabulous Mind.